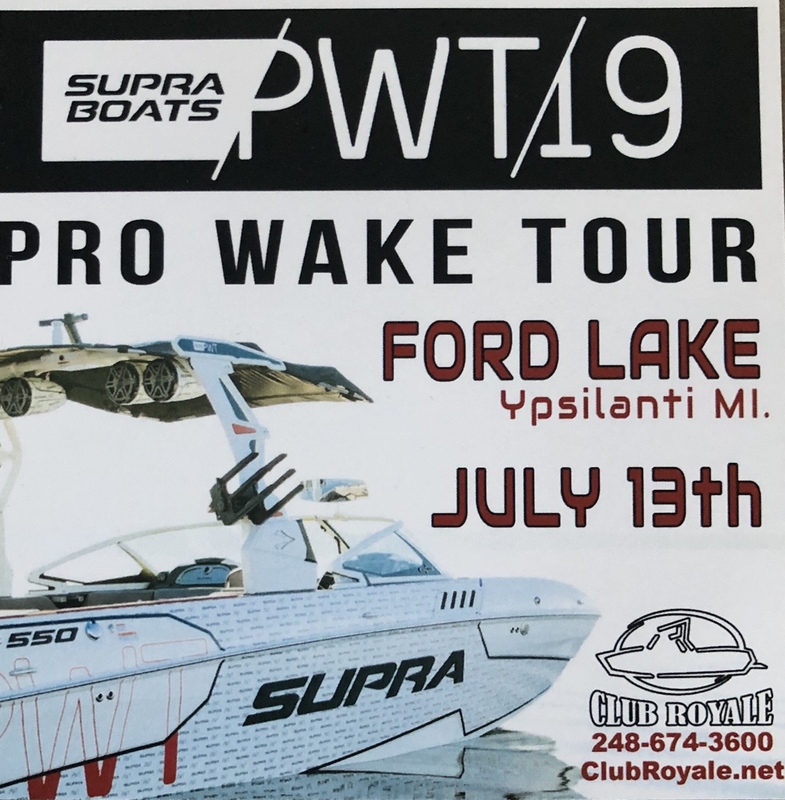 First time the pro wake tour comes to south eastern Michigan. Sounds like a good time. There will be a Supra/moomba raft off for prime viewing of the course. SC will be doing wake surf demos too. If you have never seen one, amazing how high there guys/gals will fly. The first stop this year is in Katy, TX. Not sure how we pulled that off but it should be awesome. Only issue is there will not be any raft up for viewing since it is going to be on a tiny private lake. It is tough to find a lake suitable that is deep enough in an area that has public viewing areas, parking and facilities. Wished there was a stop near us. Have fun! The Malibu factory had some events the last few years - right at the factory. The best place to watch in that location is from the bank. They setup tents, have an announcer, food and drinks, pretty cool setup. You can walk over to the tent and talk to the riders. According to my buddy, Ford Lake is NOT a lake you want to be putting your head underwater in. Why not use Pontiac Lake or Union or any other lake around here. Isn’t Pontiac lake too shallow? My understanding is that most of the local lakes are to house crowded for land viewing areas. I am sure Ford lake and Lake Orion are similar in water cleanliness. Last edited by larry_arizona; 02-25-2019 at 03:17 PM.